I wasn't expecting to get more metal figures soon, BUT!! I have more detailed pictures in the cut! I am looking for some Pokemon TCG cards, especially Goldstar/Shiny and EX cards. Under the cut you will see what I'm looking for. Sorta! I was an old member who, honestly, was not very active but i was able to buy some things which is GREAT. I feel a lot more comfortable here on LJ than, say, ebay (for SOME REASON?) so it's great to come back. My old username was islancio, I made probably a grand total of one collection post. Truth be told it hasn't grown much but this journal here is pokemon collecting specific because I hope to get a lot more involved in it. 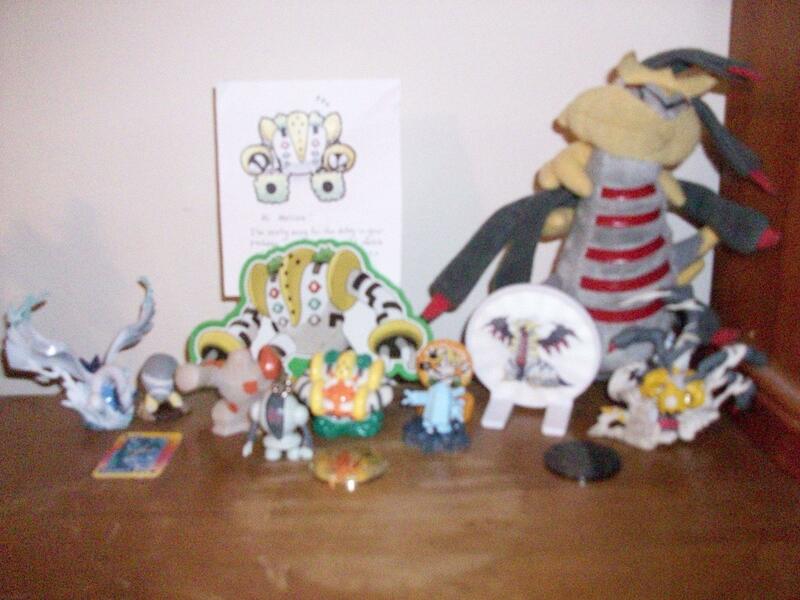 I collect mostly steel pokemon, the regi's, and giratina, though I will buy anything that catches my eye particularly. EDIT: I guess the pictures weren't showing up; I think I fixed it, but there's no way for me to tell. I'm the French deliverer ! I want to buy a lot of Charm, but juste ONE and only ONE package (because airmail is very expensive). 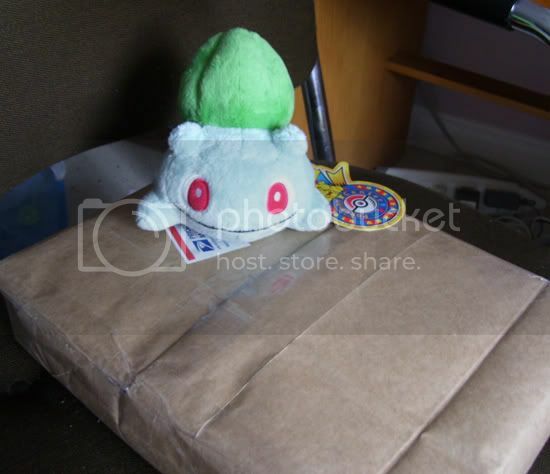 Recent (birthday) gets + More Laughing Chikorita! My post for today is what I got from the community recently! I consider them gifts I got for myself, lol. Also, can't forget the Chiko here, haha! 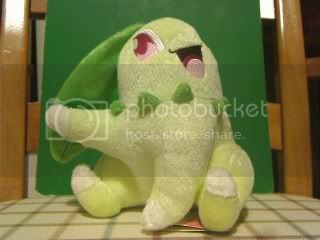 Click the cut if you just wanna see the new "Chikorita Laughing at Things". Has anyone seen or heard from myntii lately? We were supposed to participate in a customs trade. They kept me updated for a while before contact was dropped. I sent them a PM a month ago and haven't gotten a response. I was really looking forward to receiving my custom, so I am really wanting to know what has happened. Before I start this post, I have a HUGE want that has just come to my attention. Up until now I believed I had every Gible figure ever made, however a discovery has been made! until now this figure's exsistence was unknown. But thanks to mamoswine all has been revealed! If ANYONE can locate these or has one for sale, I will pay a very high price! This is the last Gible figure I need! Thanks guys! So two weeks ago I went on holiday to NYC! It was an incredible experience that I will cherish for the rest of my life. But we all know what a visit to NYC means...nintendo world! And to finish off, some wants! These cards aren't being put inside a cut cos I desperately need them! I desperately need these: If you have them, let me know! I can buy or trade. If you want to trade for cards, I have tons of primes, lv x's, ex's, pokemon catchers, pokemon collectors, metagame cards and more. I also have a shadow lugia pokedoll for trade! Thanks so much for reading my first post in a long while! I wish you all well and many thanks! Dog tags sales and quick wants! When I was randomly searching for items, I found these in my local toy store! And now to my quick wants! Looking for the Scrafty Pepsi Nex charm! First major update at my collection site, especially the applause section! Ah-hem, so now that means I have TWO Reshiram EXs for sale, for anyone who want them now, or don't want the tins and just want the cards.... I'm selling them for $10 each, fresh out of the pack! Also, my regular sales are here if you wanted to combine any other cards or anything else to it. Adorable Stamps GB is in! The Adorable Stamps GB is in! :D Gosh these stamps are cute. Click the cut for some pictures + final shipping payments! The Bento Eraser/Metal Figs GA has arrived in Japan, but I'm waiting for one tiny auction to arrive so it can fly across the ocean with the GA. Also, all things from my sales post and auctions post were shipped out today, and should be with you soon :D I'll be putting everything that didn't sell into my sales post soon, but if you're interested in anything, I'll sell it for the start price! Some prices lowered, new cards added! (I have TWO Full-art Zekrom EXes! As well as a bunch of other good cards (Reshiram, Zekrom, Virizion, Cobalion, Gothitelle, Gardevoir, Cleffa, Catcher, Rare candy, etc... as well as some neat collectibles like Zapdos, Moltres, Articuno, Arcanine, Cinccino, and more! 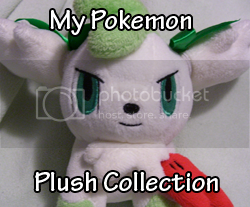 There are also things still in my normal sales, including a custom Lumineon plush, a custom Flareon figure, and a custom Leafeon figure, but since there's no major update, it gets no banner. I need something. Specifically... basic Metal Energies. Three of them. I'd really like to not pay an arm and a leg for them... if I could get all 3 for $3 shipped (to the US) that would be fantastic, really. Hey everyone just a few updates here! 1st up! The Nasija GA, My paypal was a complete douche and wasn't checking out on ebay properly, I've had to get paypal to transfer the money into my account, so i can go through ebay checkout with my bank account instead... Unfortunatly paypal has also screwed me over with this and havent put it in yet... i called them on Sunday to see if it would be in my account by today, and they said it would.. but it isnt =/ Hopefully they'll get it in by midnight! Just for future reference to anyone! I'd prefer to see if we could possibly trade? but i'll be up for paying if the price is right! So take a look and let me know! 3rd! I have a massive update planned for when all my 3rd wave charms arrive.. it'll be pretty special so look out for it! I also have a few Cyndaquil things to arrive! Finally, there comes a time in every collectors life where they must do the dreaded and depart and sell some of their beloved items.. i could use the money tbh & they just sit on a shelf here.. so i'd prefer to sell off my ENTIRE Veelution collection.. Which consists of 7 Canvas, 7 Minky Pokedolls, 7 Jakks Figures & a Zukan... (I'm keeping the Jolteons) as much as i love them, i'm needing space & focus on my main collections. 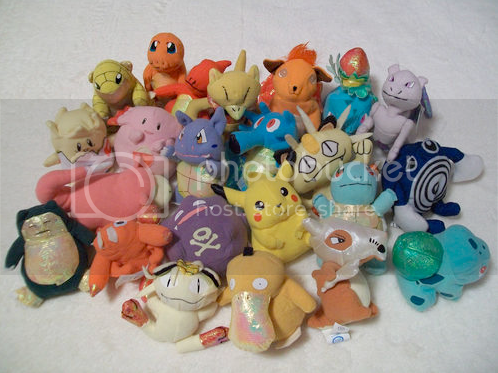 All are mint condition with all tags for the plush, & all the Jakks are mint with no wear! I'll have them up wednesday? I'm just a bit on the fence how to handle it? Offers? Auctions or BIN prices? THIS SALES POST IS CLOSED. ONLY UP FOR REFERENCE, Thank you. Hai Guys!!! Are you ready for some kids!? If you made it until here, thanks for reading!! Anyone been to Sanshee before? They sell a few Pokemon items, namely all the gym badges from every generation! I've been waiting for them to re-stock the Gen1 badges, and they finally just did today! Here is the link. SAD NEWS: I got a few Next Destinies packs along with a box of Magic cards(my husband is trying to get me to play it). I pulled not one good card! NOT EVEN ONE! Although I did only buy 4 packs, so my chances were pretty low anyways. I can't bring myself to spend $98 for a box, so I think I'll try and order a few more packs. QUESTION: What kinds of booster packs are going to be in the new tins? I'm pretty set on getting the Reshiram one for sure! Hello everyone, I'm back with updated sales. A grail of mine has popped up and I'm in desperate need of some funds. \0/ So come take a look. Hoping to get rid of this asap. Sales permission granted by denkimouse on August 3, 2011. 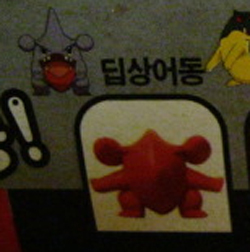 It's an Ultra Rare Alternate Color Emboar from the Japanese BW3 Hail Blizzard set. Looking for $45 shipped for it worldwide. I am not accepting trades at this time. Any dings around the edges or scratches you may see are only on the two sleeves it's in. The card itself is in mint condition. I wanted to post a shipping update here just to make it easier since I had so many packages. As of today ALL packages have been shipped EXCEPT a charms trade and two singular custom art cards. Everything else has been shipped off! Also, I think I have been underestimating the shipping on some packages because altogether I think shipping alone for all those packages cost around 70$~ x___x I try and measure to the best of my ability but without an ounce scale it becomes really difficult. And I feel maybe sometimes the prices on the USPS website don't exactly reflect the prices they will charge you? Also, I did a partial charms trade with ivan_rathe about a month ago. I sent a Leafeon and Glaceon charm in exchange for about 3$~ and a 2009 Umbreon charm. They received my half of the trade 3 weeks ago and contacted me that they hadn't been able to ship mine (they already sent payment) because they were sick and would send the following Monday. I agree and said it was alright, but two weeks have passed and there has been no contact. I left them a comment response 5 days ago, still nothing. I sent them a PM 2 days ago. I don't know if I just haven't given them enough time or something but if they had sent it on Monday like they said, there is no way it wouldn't have reached me by now. Has anyone heard from this member? Not sure what to do and this isn't something I can just get refunded for with a Paypal dispute. :/ Suggestions?